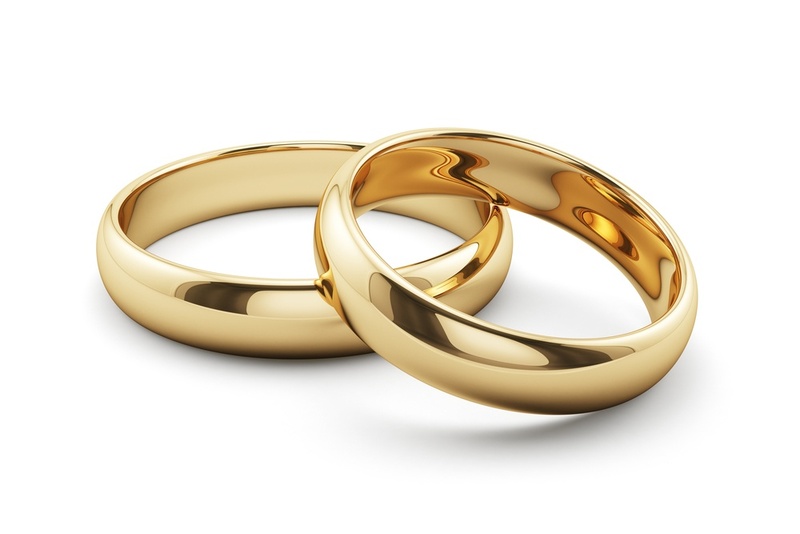 Should You Buy a 19K Gold Wedding Ring for Her? You’ve probably heard of 14K or 18K gold, but what about 19K? Although not as well known as other gold karat weights, 19K is another choice for brides and grooms. Before deciding whether or not you should buy a 19K gold wedding ring for her, you have to understand what 19K means. Pure gold, or 24K gold, is not typically fit for jewelry because it is easily bent or damaged and does not stand up to everyday wear. Because of this, jewelers typically sell gold alloyed with other types of metals. The purity of gold is called the gold karat, and it is measured as parts of pure gold out of 24 parts. A piece of gold jewelry that is 19K, for example, is 19/24ths, or 79.1% pure gold, and about 20% other metal. Why buy a 19K gold wedding ring? 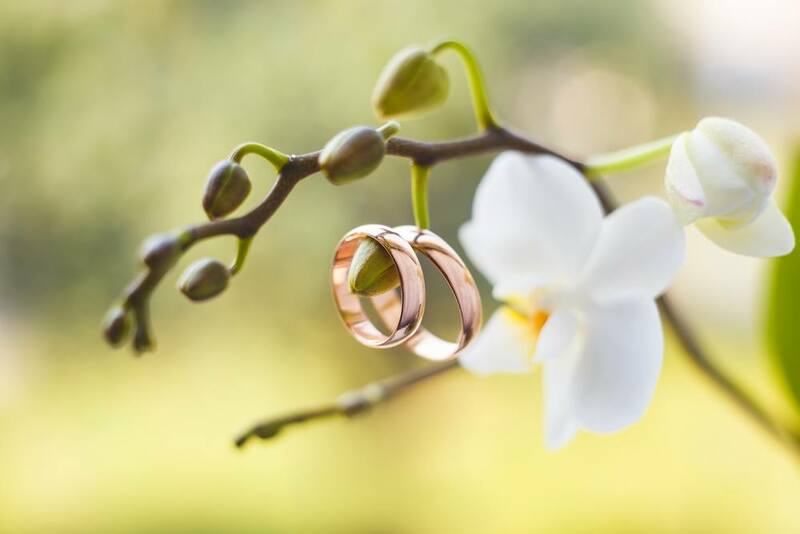 Because a 19K gold wedding ring has such a high content of pure gold, especially compared to other popular alloys such as 10K or 14K, these rings are more valuable. But valuable also means more expensive, and these rings are priced higher than lower karat gold jewelry because they have a higher gold content. When you wear a 19K gold wedding ring, you may notice that the ring feels a bit heavier than other jewelry pieces that you’ve tried on. The more gold that is used in the metal, the heavier the ring feels. Even the appearance of a 19K gold wedding ring is typically different from the lower karat rings, with a deeper, richer gold tone. Is a 19K gold wedding ring right for her? Although these rings are, without a doubt beautiful, they won’t fit every woman’s lifestyle. It’s important to think about it thoroughly before making a decision. Because 19K is a softer metal than 14K gold, or even 18K, it will scratch much easier. If your fiancée has an active lifestyle, perhaps this isn’t the best choice for her. If you do decide to purchase a 19K gold wedding ring, the next step is figuring out what color gold she would like best. If your fiancée loves vintage pieces, yellow gold’s timeless appeal may be the perfect choice for her. This gold complements olive or dark complexions best, so keep this in mind when making your decision. Because 19K gold has a richer yellow hue, if yellow gold is her preference, it might be a better choice than a 10K or 14K wedding ring. Does your bride have a sophisticated, sleek sense of style? If so, white gold might be the best metal for her wedding ring. White gold is classic and elegant. It sits subtly on the hand and can be worn well with other pieces of jewelry. It pairs best with fair or rosy skin tones and light hair. Lower karat golds are more white, so a 19K white gold band might not be the best choice. Rose gold is the strongest of all three because it consists of gold alloyed with copper, an incredibly durable metal. It complements warm skin tones and usually pleases trendy, fashion forward women who like to make a statement with their jewelry and stand out from the crowd. Lower karat rose gold is more pink, while higher karat rose gold alloys have a rich, orange-pink hue. Depending on her preference, a 19K rose gold wedding ring might be the right choice. Still can’t decide? Take a look at the jewelry that she currently wears for clues. Most women will only purchase one type of metal so use that as a guide for which color gold she prefers. You can also visit the leading online diamond retailer, Brilliance, for a wide variety of wedding ring styles.